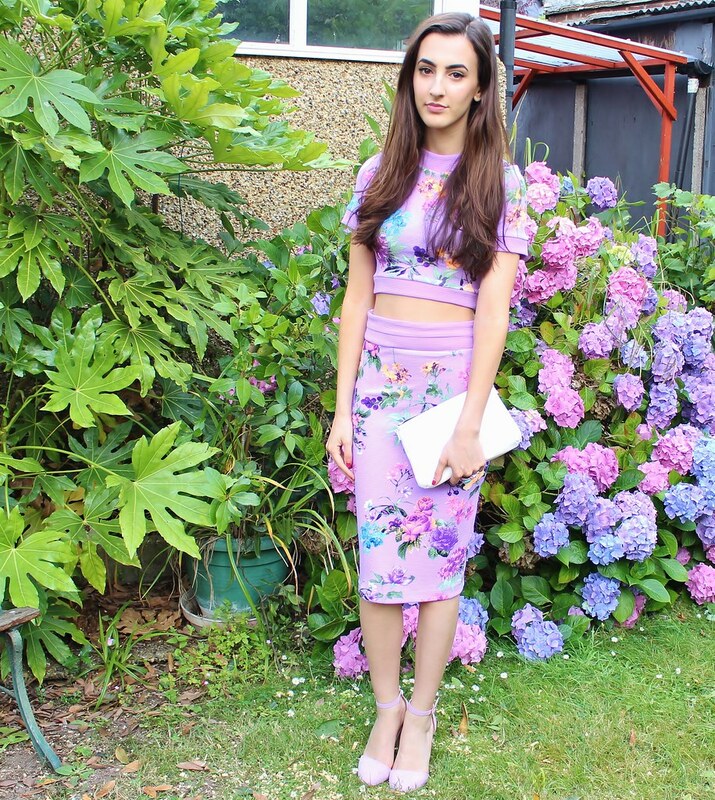 Um, so is it kind of obvious from this and my previous post that I love me a floral two-piece set? I think so. I purchased this amazing co-ordinate set from the Missguided website about a month ago and have been waiting for the perfect opportunity to showcase it. I literally fell in love as soon as I saw it, and it was so reasonably priced that I could not say no. There is also another colour version of this set, but something about the cute mix of yellow, pink and orange ditsy floral print of this one caught my eye. The shorts are elasticated so fit really well and are so comfy and light. I love 'edging' up a really girly outfit with some masculine shoes like these Primark gladiator sandals which I wear to death! Another addition to my wardrobe is this beautiful pastel pink satchel bag from, So In Fashion - it's such a decent size and can fit pretty much anything and everything into it without being overly big or heavy. Is anybody else loving co-ords as much as me?! 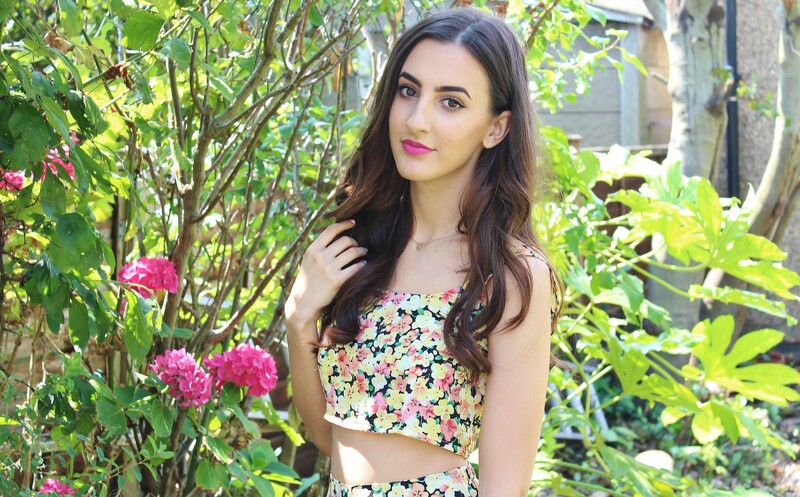 Say hello to the most beautiful co-ord set from Vesper. I've been on the hunt for the perfect co-ordinate sets for Summer as I think they look amazing on and are so cute and easy to wear. 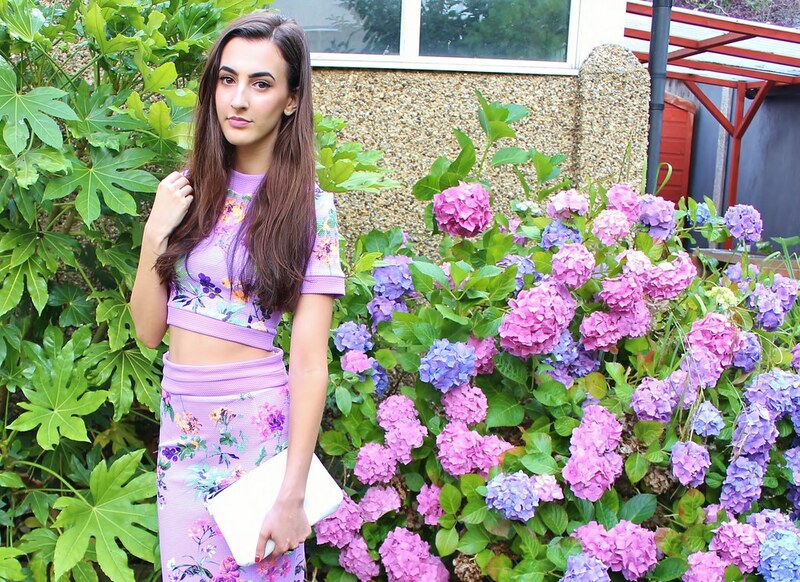 I chose this particular co-ord because of the beautiful mix of pastel and neon shades which automatically make me think of Summer. I was really impressed with the material of this co-ordinate set too as both pieces are a good quality thick, stretchy material which hugs your body but doesn't cling to you uncomfortably. 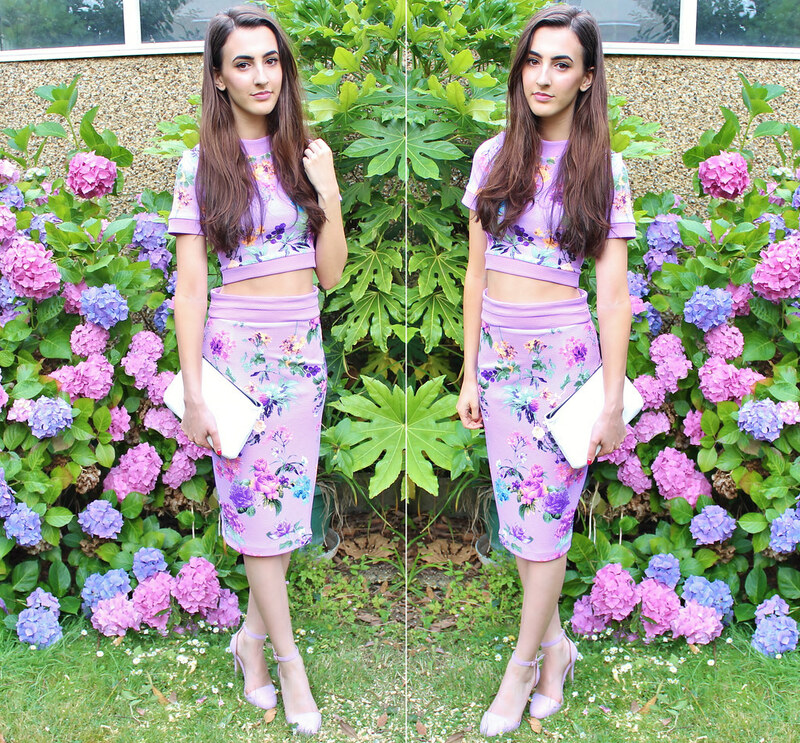 I also recently picked up a cute floral shorts and crop top co-ordinate set from Missguided (see here) so I wanted another co-ord set but this time with a skirt instead - the good thing about these co-ordinate sets are the endless outfit pairings. This skirt would look amazing with just a plain chiffon cami top too. I paired this outfit with minimal accessories and my beautiful pastel Lilac heels as the set is quite bright and doesn't really need anything else with it. Anyone have those days when they specifically go into Primark for a few basics bits but end up spending an hour browsing, trying on endless clothes and buying a pair of shoes in every single colour just because? That's what happened to me when I found this beautiful jumpsuit. I've always loved the look of jumpsuits but find they can be weird fitting; either way to long or way too baggy. I tried this one on and was pleasantly surprised. At £15, I thought I may as well purchase this as my first jumpsuit and see what I think as I really liked the summery palm tree print on it. I love the material of this jumpsuit, it feels like a crepe style material which is really light and airy. I wore this on what was supposedly the hottest day of the year so far and didn't feel uncomfortable or restricted in any way. The jumpsuit is a tiny bit long for me but I just rolled up the ends and wore my platform sandals and it was completely fine! To add a bit of colour I wore my well loved lipstick, 'Ruby Woo' which is looking a bit worse for wear these days. 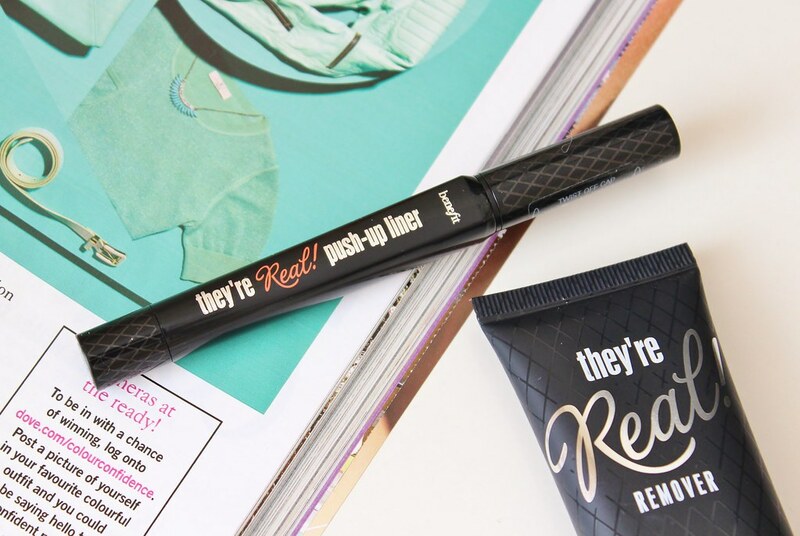 So there's a new eyeliner on the scene from Benefit Cosmetics which is part of the popular, 'They're Real' franchise and promises to be one of the brand's biggest launches yet. 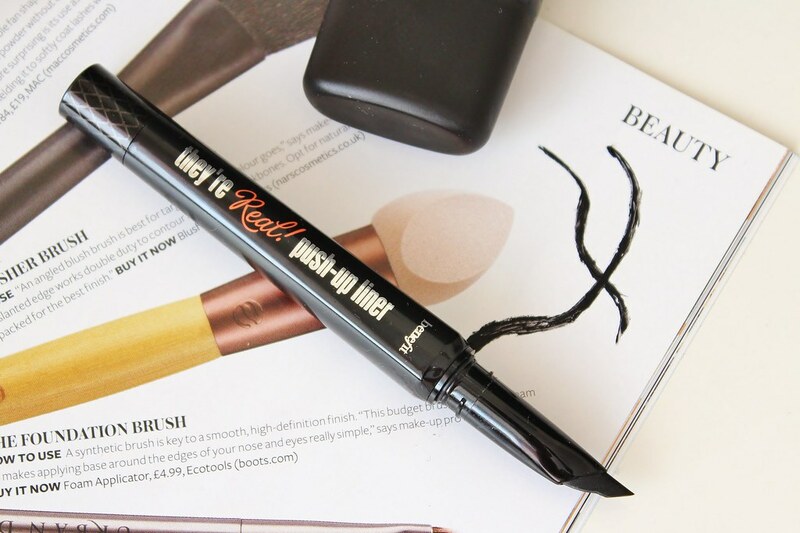 'They're Real Push Up Liner' is a gel liner in a pen - so forget fiddling around with separate brushes and pots like what most gel liners come as - this eyeliner aims to eliminate all of those annoying eyeliner cons that we all hate. The eyeliner has a pointed tip which fits comfortably along the lash line to create a smooth line and also really helps to get a pointed clean flick. From attending the training for this product, we found it's a lot easier to use if you squeeze the tip slightly to push the gel up rather than twisting from the bottom which means you get way too much product and end up wasting it. 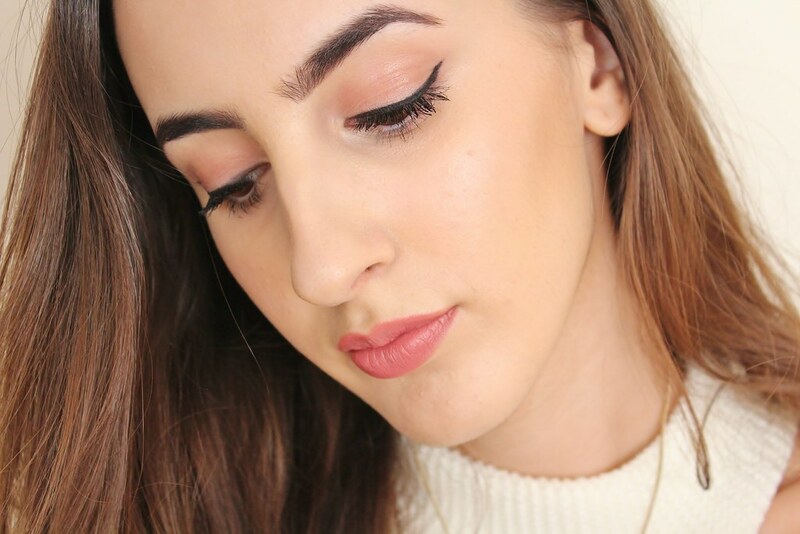 I've found that this eyeliner does take some practise and getting used to, and isn't as quick to apply as a liquid eyeliner. Once you get the hang of it, the final results are really nice. 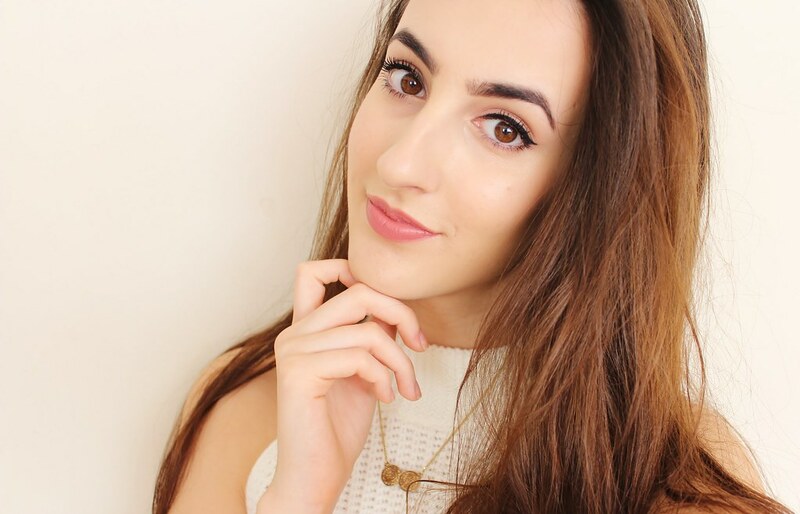 The finish is matte so looks more natural and polished, it's also VERY waterproof. This does not come off easily to say the least! 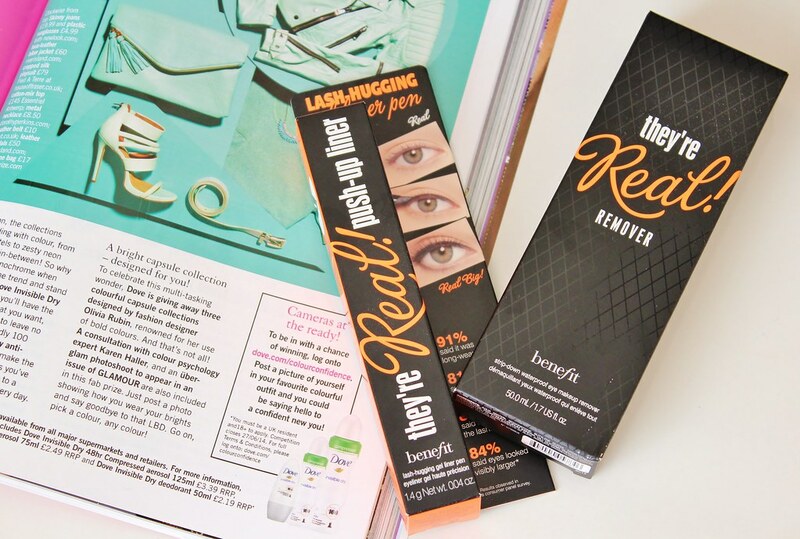 Benefit Cosmetics also *cleverly* released a, 'They're Real' Remover to complement the 'They're Real Push Up Liner' and also the, 'They're Real Mascara' which customers always complain to me about saying how it's a nightmare to get off. This creamy remover breaks down the product really well and doesn't sting at all. 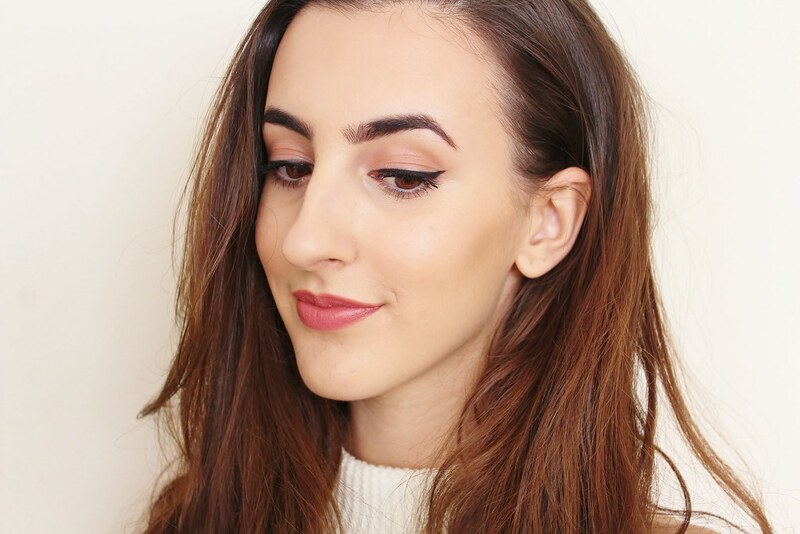 I'd definitely give this eyeliner a go if you're on the hunt for a good gel liner, although I do prefer my Clinique Brush-On Cream liner!